Integrate Sakari SMS with noCRM.io to start sending and receiving text messages with your leads. 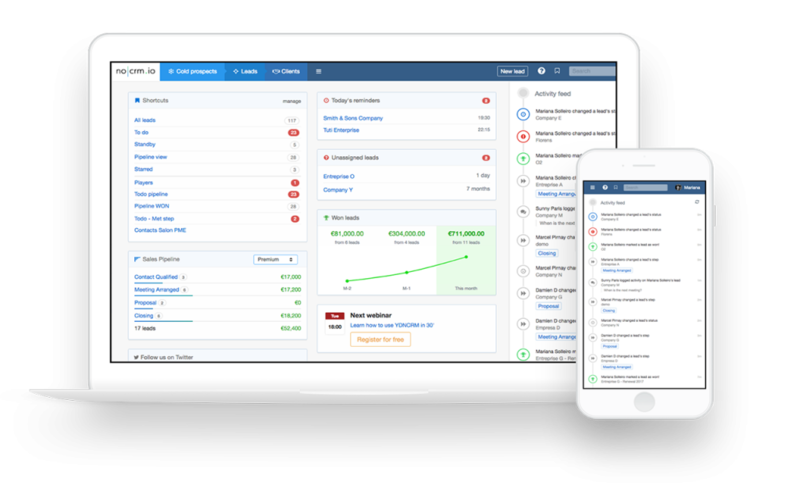 noCRM.io is an easy-to-use lead management software that eliminates the distractions of a standard CRM and helps salespeople turn leads into customers. Boost productivity by creating leads in seconds from any source (business cards, spreadsheet, email, websites, or other apps) and grow your pipeline with built-in prospecting spreadsheets. Organize your sales process and customize your sales pipeline to manage the sales cycle from end-to-end. Stop dropping leads and always know what the next action is. To integrate Sakari and noCRM.io, you’ll need an account with both companies. 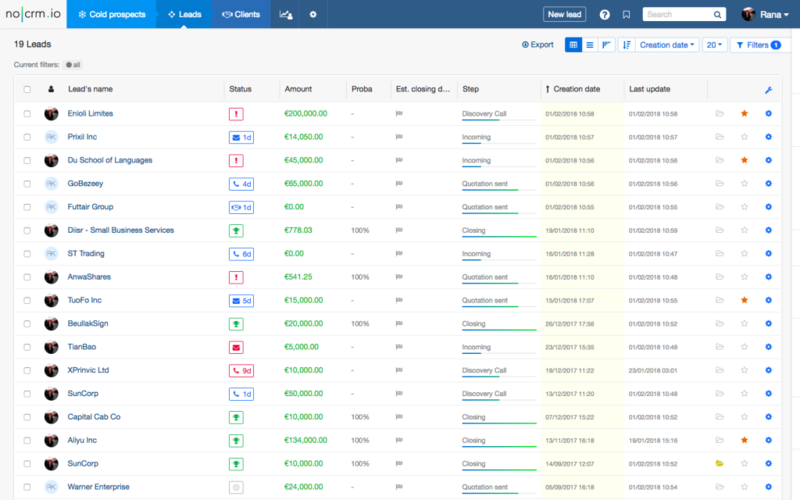 Sakari’s Zapier connection with noCRM.io allows users to sync invoicing data across both platforms. Configure your sync in minutes to begin leveraging the best of both platforms. Zapier supports over 1,000 applications and allows you to mix and match triggers and actions to make your own automation.